Olympic week is finally here and I’m in full-on race mode now. I loved sampling the atmosphere with all the best athletes in the world in the Olympic Village last weekend and we’re now based closer to the race venue in Essex for our final preparations. I’ve settled into a good routine, I’m sleeping well and getting in some light training and plenty of rest. It feels like the hardest bit now, just waiting for the event to happen. Obviously there’s been so much excitement for Team GB at the Olympics already, and the cyclists have done an amazing job. Some of the road and track guys finished their events a while back so it does feel like we’re on a bit of a different time scale, and it’s tough that XC is one of the last Olympic events. I don’t feel there is any more pressure now I’m here, but the whole thing does feel massive up close. I’m so excited though, and really focused — I just can’t wait for it to happen and to hear the home support and see the crowds. Fired up and ready to represent Team GB! 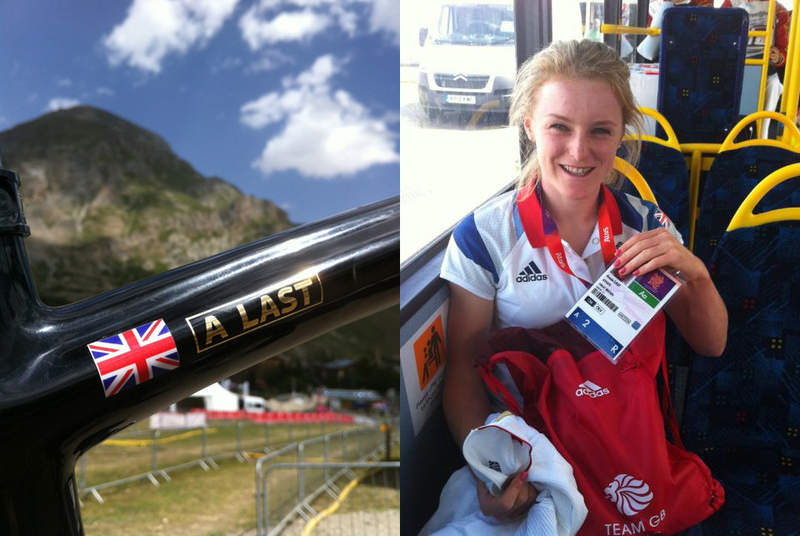 The last World Cup at Val D’Isere went really well for me, which gave me confidence that I’m in a good place for London. The race was at altitude but I still felt strong all the way to the finish and rode to my best ever result of third place and my first ever podium! The result means I ended up 7th overall in the World Cup series. I’ve ridden the Olympic course this week with the other racers and feel good on it. It’s fast, bumpy and physical, a lot more challenging than it appears at first, but my training laps have been going well. There have been quite a few accidents and crashes in practice and a few athletes look a bit nervous around the track. The team have tweaked my bike a little for Saturday and I’ve got a brand new Olympic-special Boardman frame with a couple of weight-saving details. There’s no internal cable routing, and a new carbon seat post and seat design sheds a few grams. I’ll be running the Dugast tubular tyres and Ritchey Carbon wheels as they felt fastest on this track. We’ve also opted for a new SRAM drivetrain that you’ll see on raceday. I’m going to be starting in fourth position on the grid so it feels like everything is in place and my preparation couldn’t have gone better, so roll on Saturday. I just can’t wait to get going. I want to say a big thanks to everyone for the support and I’m so proud to be here and competing for Team GB. To read part one of Annie’s diary, click here. 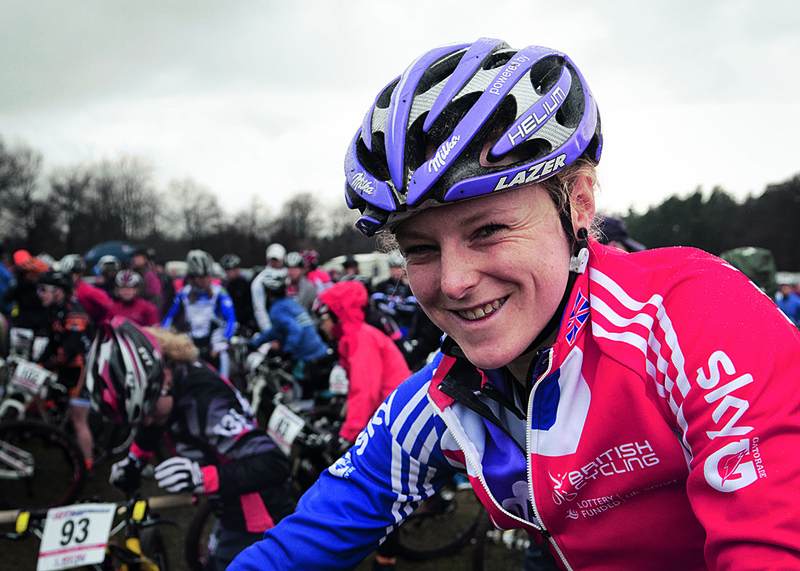 mbr.co.uk will catch up with Annie again after the competition — check our Twitter or Facebook for more updates. 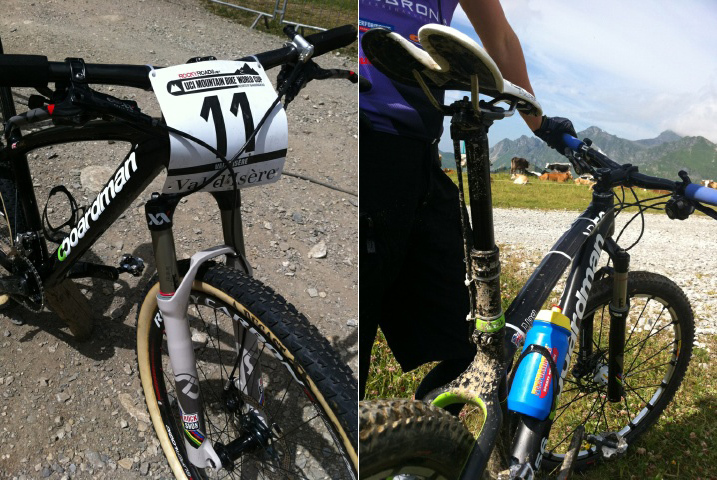 And for our full guide to the mountain biking at London 2012, click here.